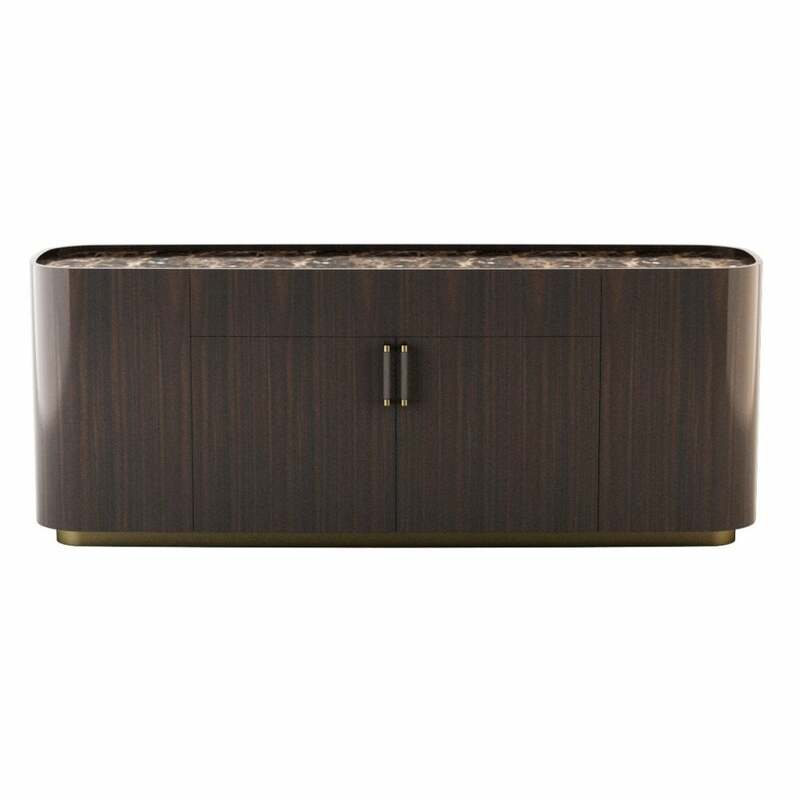 A chic sideboard to store and display your tableware and glassware. The Westminster Sideboard from the Daytona Collection is inspired by the curved shapes of 1930’s design. Hand-crafted from high-quality wood, the structure is veneered with dark walnut to create a brushed gloss finish. The rich wood works beautifully against the burnished brass base and marble top. A signature Italian style, Westminster will bring a touch of glamour to a dining room or hallway. This sophisticated design will sit well in a modern and moody dining room scheme with matte black, burnished brass and steel grey colourways. The top can be customised to suit your interior, make an enquiry for more information.